Education and the pursuit of academic excellence are at the core of the Foundations entrepreneurial journey. The Foundation believes that a strong founding and exemplary performance in academics and secondary and tertiary education form the building blocks of the journey for the high impact entrepreneur. The current write up aims to contextualise the empirical argument for this relationship and then define academic excellence in the words of the Allan Gray Beneficiaries. Further studies in a developing country context support the notion that an added year of education can raise entrepreneurial profits by on average 5.5% (Kolstad and Wiig, 2015). The Global Entrepreneurship Monitor (GEM) study conducted by Herrington and Kew in 2010 suggests that specifically in the South African context there is a positive correlation between opportunity-driven entrepreneurship and levels of education. Lastly, the link between secondary and tertiary education and formal entrepreneurship is suggested by Jiminez et al (2015), as being an enabler for entrepreneurship through increasing self-confidence, lowering the perceived risk of starting a business and developing human capital. In this regard, the Foundation has been collecting outcome level data from our beneficiaries over the past three years to build a comprehensive definition of academic excellence according to our own beneficiaries. Setting targets and achieving them for themselves. Most of the responses highlighted that academic excellence and achievement is about performing to the best of your ability continuously. Beneficiaries noted it is important not to compare yourself to others. An optimal amount of competition between peers – but mostly themselves. From the definitions of our own beneficiaries, it suggests that through the outcome of pursuing and achieving academic excellence, individuals learn how to overcome failure, deal with pressure, set goals and meet them, continually improve and do their best. The literature further suggests that secondary and tertiary education further develop an individual’s self-confidence, lower their perception of the risk of entrepreneurship and enhance their ability to develop human capital. These abilities and traits link to those we see in successful entrepreneurs and support the notion that the academic journey can positively contribute to the preparation and equipping of individuals in their entrepreneurial process. Jiménez, A., Palmero-Cámara, C., González-Santos, M.J., González-Bernal, J., Jiménez-Eguizábal, J.A., 2015. The impact of educational levels on formal and informal entrepreneurship. Business Research Quarterly Vol 18:3, pg 204-2012. Kolstad, I., and Wiig, A., 2015. Education and entrepreneurial success. Small Business Economics, Vol 44:4, pg 783-796. Van der Sluis, J., Van Praag, M., and Vijverberg, W., 2008. Education and entrepreneurship selection and performance: A review of the empirical literature. Journal of Economic Surveys, Vol 22:5, pg 795 – 841. Standford e-Corners: A free resource started by Standford University where they share videos, podcasts and articles to support you on your entrepreneurial journey. 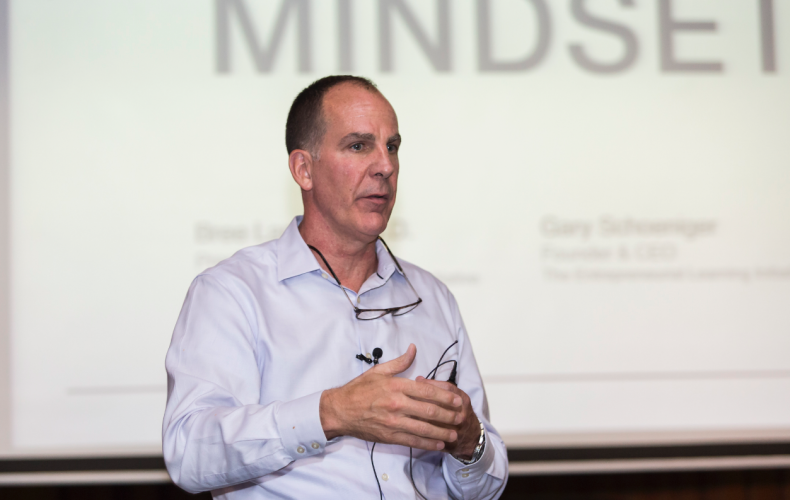 Standford believes that entrepreneurship is about more than just starting a business. Medium: An app you can download and receive daily publications on topics that interest you. Tech Central: A news and information resource aimed at South Africans who are involved in the information and communication technology industry. For Entrepreneurs.com: A website started by David Skok, a serial entrepreneur who became a venture capitalist. The website is a tool used by David where he writes articles to help entrepreneurs who are starting businesses. Harvard Business Review: Articles written by academics and experts from different disciplines, where they share their ideas. TED: A nonprofit dedicated to sharing ideas through video talks which are about 18 minutes or less. TED talks are inspiring and a must see. Under 30 CEO: A website aimed at young entrepreneurs and professionals. Articles include interviews, start-up advice and finance. Mixergy: A platform where you can learn from experienced entrepreneurs. Blake Masters: Peter Thiel, author of Zero to one, start-up course. This week in startups: Hosts weekly interviews with startups who operate in the interweb space. Tune in weekly to listen to entrepreneurs’ stories, as they share what’s happening in the market and the challenges they face. The past year has been described as a year of fallism in South Africa. The #FeesMustFall movement has given rise to a new generation of controversial student activists. Following on that, #MustFall became a mantra for anything and anyone that we disagreed with. Towards the end of the year, some prominent South African leaders started asking ‘What must rise?’ as a counter to fallism. What can we all put our energies towards improving our society? This reframing is characteristic of the Foundation’s approach to investing in young people who want to positively change our country. 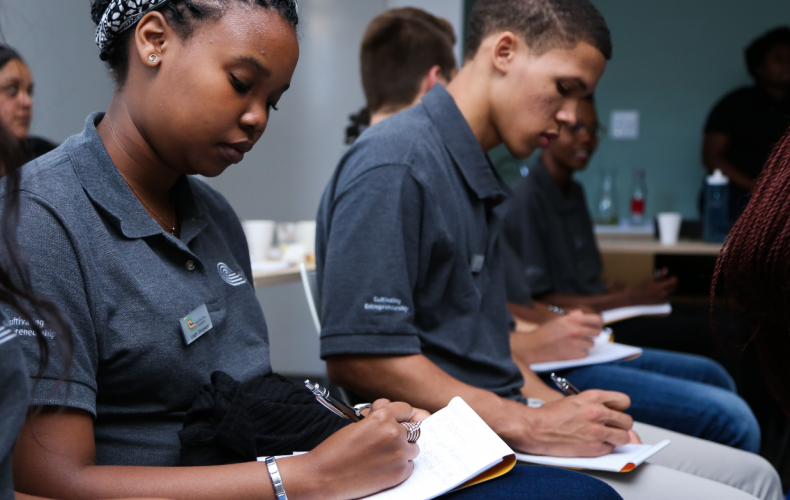 For us at the Foundation, we believe that for South Africa to begin to fulfil its exciting potential and to prosper, the entrepreneurial mindset must rise. …FOR SOUTH AFRICA TO BEGIN TO FULFIL ITS EXCITING POTENTIAL AND TO PROSPER, THE ENTREPRENEURIAL MINDSET MUST RISE…. We believe that being able to recognise opportunities and creatively generate new ideas (Intellectual Imagination), having a bias for action (Personal Initiative), focusing on the future and being self-efficient (Spirit of Significance), having resilience and accepting risk (Courageous Commitment) and possessing the motivation and desire to achieve (Achievement Excellence) are all critical to becoming a successful entrepreneur. Not only do we select for these qualities, but our programmes are designed to develop them further. This is demonstrated by the achievements of our beneficiaries in 2016. These attributes add up to an entrepreneurial mindset. In their bestselling book ‘Put Your Mindset to Work’, James Reed and Paul Stoltz describe mindset as what you see, think and believe. Each person’s unique mindset is coloured by life experience, personal traits and education, and can thus be developed. Carol Dweck, a professor of psychology at Stanford University, goes further by describing the difference between fixed and growth mindsets. People with a fixed mindset believe that their capacity and ability are static. Since they believe they are limited, they tend to give up easily when they face a challenge that they don’t have the immediate ability to conquer. A growth mindset, on the other hand, is rooted in the belief that capacity and ability can be developed, challenges must be embraced with innovative solutions and that criticism is a learning opportunity. Since they believe that they can grow, they tend to be more persistent. 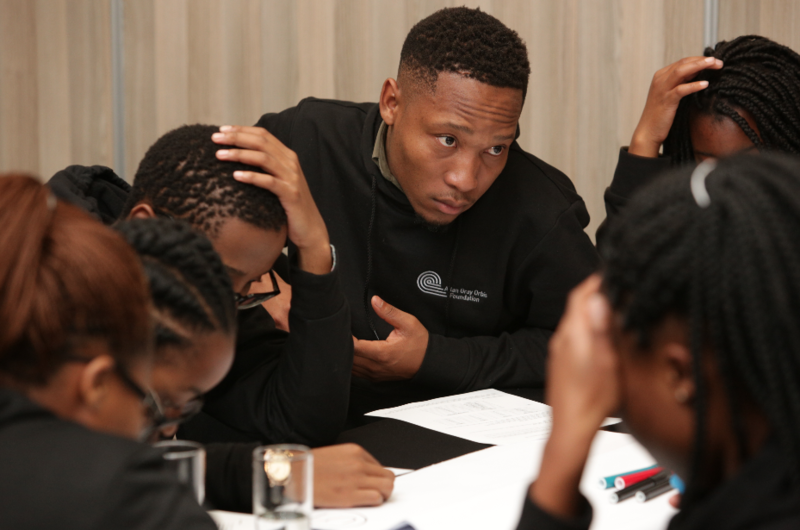 The Foundation’s programme and curriculum are focused on providing structure and opportunity for all our beneficiaries to engage in the deliberate practice and hard work that we believe will lead to the development of an entrepreneurial mindset. Over 50 Allan Gray Scholars doing their high school education were elected to leadership positions, including as prefects. Two Scholars were appointed as Deputy Head students of their respective schools, Bishops Diocesan College and St. Cyprians, while another represented SA Schools in the World Knowledge Forum in Japan. Nine Candidate Fellows became members of the Golden Key Honours Society. One Candidate Fellow started a home security app called Jonga, which achieved third place at the Global Social Venture Competition. Another Candidate Fellow attended the One Young World Conference in Ottawa, Canada and one was head of the University of Cape Town’s delegation to the Model United Nations in Rome. Another seven Candidate Fellows were awarded Mandela Rhodes Scholarships at the end of the year. 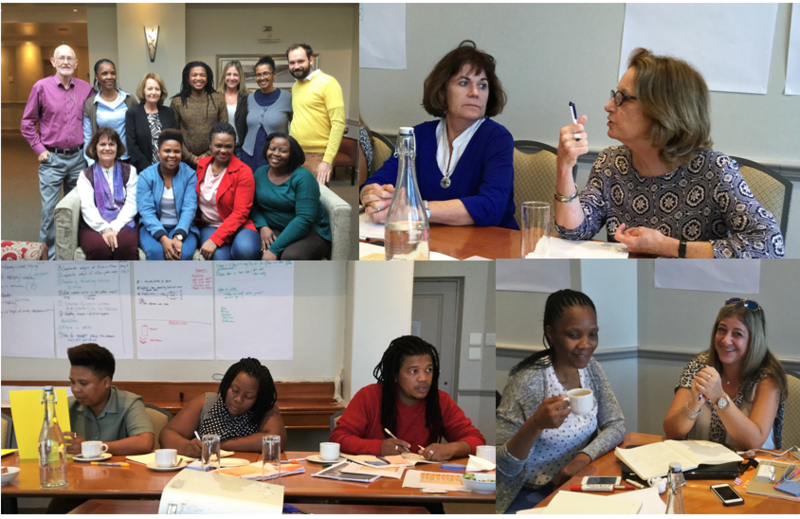 This year the Association of Allan Gray Fellows, in collaboration with our empowerment partner E2, launched an accelerator programme for Fellow-led start-up businesses. The accelerator took the form of a three-month programme of intensive work to prepare start-ups to pitch to investors, culminating in a Demo Day at the end of November 2016, where the businesses presented to a carefully selected audience of stakeholders. Our university Fellowship continues to excite and draw applicants from all provinces in South Africa, and we seek to select those with the greatest potential to become high-impact, responsible entrepreneurs. Only 6% of those who applied for the Fellowship opportunity were selected, as shown in Table 1. This year 30 Grade 7 candidates were selected for an Allan Gray Scholarship for high school, as shown in Table 2. A further 10 scholarships will be funded by our partner, the Standard Bank Tutuwa initiative. Through our candidate Fellows and our work in education, the Foundation finds itself currently in the midst of the student struggles. The issues we need to resolve are challenging. Like many other institutions involved in education in South Africa, we find ourselves needing to exercise our own entrepreneurial mindset. These are uncomfortable times, but we are being pushed to lift our game as an institution and to think hard about how we add value. Our commitment remains unwavering to seeing an equitable, entrepreneurial South Africa that is flourishing with meaningful employment. Deadlines for applications for Fellowship opportunities, to study at university, are 12 May 2017 for Grade 12 learners and 18 August 2017 for first and second year university students. Grade 6 learners must apply for a Scholarship opportunity, for their high school education, by 29 September 2017. 1. Expand the definition. If we are to integrate entrepreneurship into the core of our educational systems, we must begin by re-defining the term in a way that is accessible to all, regardless of their circumstances, interests, or chosen path. Entrepreneurship at its core is a process of discovery – the search for the intersection between our own interests and abilities and the needs of our fellow humans. It does not require, big ideas, venture capital, a unique personality, or an Ivy League MBA. It simply requires discovery skills – skills that anyone can learn to develop, yet skills that our system of education have historically undervalued, overlooked or ignored. Too often, entrepreneurship education initiatives are over-influenced by Silicon Valley success stories or reality television shows that encourage students to come up with big ideas, write business plans, and pursue venture capital investment. While these stories may captivate our imagination, they are by far the exception and do not reflect the bootson-the-ground reality of most successful entrepreneurs. By continuously promoting these narrowly defined models, we may be unwittingly alienating the vast majority of our students population, not to mention faculty. 2. Explore the mindset. In order to truly understand the “how” of entrepreneurship, it is essential to look beneath the surface to examine the “why”. What are the underlying beliefs, assumptions, and expectations that drive entrepreneurial behavior? And what are the social, factors that either encourage or inhibit the development of entrepreneurial attitudes, behaviors, and skills? If we are to infuse entrepreneurial thinking throughout the curriculum, we must recognize that not all students have a desire to start a business, yet as humans we are all driven by an innate need for autonomy, mastery, and purpose. That is to say, we all have a strong desire to be entrepreneur-ial – to be engaged in work that matters, to have agency and a voice, and to have the opportunity to apply our strengths to something greater than ourselves. And when given the chance to do so, we are much more likely to become engaged in our work, to recognize the value of education, to persist, and ultimately to thrive. 4. Embrace entrepreneurial learning. Entrepreneurial learning can be transformative, challenging students to re-imagine themselves and the world around them in ways that lead to positive lasting change. If we are to embed entrepreneurship at all levels of education, we must embrace experiential, problem-based learning. We must provide all students with opportunities to develop the skills necessary to identify and solve real world problems within resource constrained circumstances where the rules are unknown, no one is in charge, and no one is coming to the rescue. It is only through this process in these circumstances, that we can truly develop self-reliance and resourcefulness, creativity and critical thinking, effective communication, teamwork, and other entrepreneurial skills. 5. Examine ourselves. In the past we created innovators and entrepreneurs by accident rather than by design. If we are to fully embrace entrepreneurial education we must also look within. We must re-examine our own deeply held, taken-for-granted beliefs and assumptions that may no longer be effective. We must embrace new methods, new frameworks, and new models that encourage all students to be innovative and entrepreneurial regardless of their chosen path. We must also recognize the power of system structure to shape behavior. 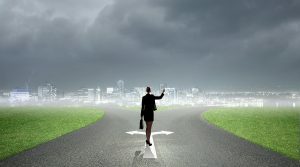 If we are to shift entrepreneurship from the perimeter to the core of the way education operates, we must recognize the transformative power of entrepreneurship education as a means to empower ordinary people to accomplish extraordinary things, thus enabling them to participate in the transformation of their world. 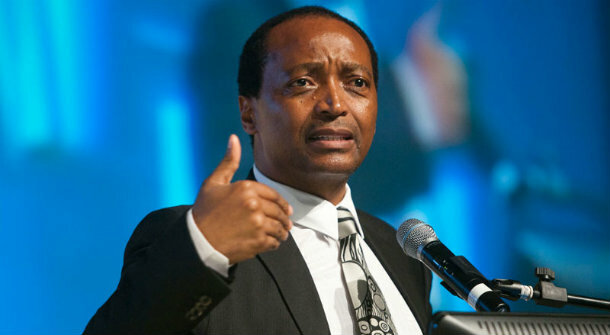 Will Vuyokazi become the next Patrice Motsepe? Meet Vuyokazi, our fictional big big dreamer. Vuyokazi is a 26-year-old entrepreneur that hails from Soweto. 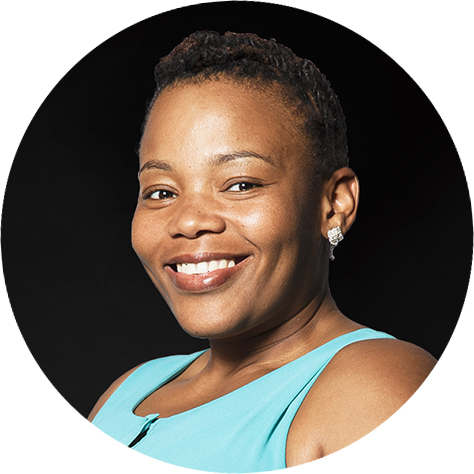 When Vuyokazi was in high-school, she used to sell roasted popcorn on school grounds to make extra money – she often got in trouble for this. 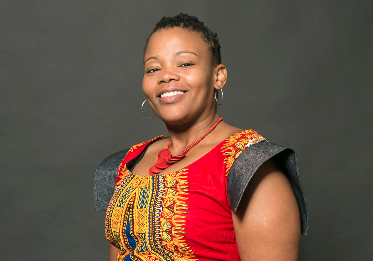 At University, she started marketing and distributing Kwaito classics to Americans in cities like Miami who are fascinated by this South African blend of dance and a hip-hop like narrative. That is how Vuyo made her first R1 million. Everyone who ever met Vuyokazi asked, ‘what is her special ingredient?’, how is she so smart, charming, intuitive and creative? The answer to Vuyo’s secret source for success is a combination of her talent, a developing economy that is more open to supporting black founders, and globalization. Another question that Vuyo’s followers ask is: South Africa has 53 ecosystem players, 71 direct finance providers1, and the potential to create 3.4 million new jobs by 20302. Why is Vuyo’s business not flourishing and scaling up to at least R1 billion in annual revenue? There are no easy answers to the question, but some systematic observations can be made to help us understand what Vuyo’s options are depending on her circumstances and luck. Suppose Vuyokazi wanted to develop a mobile software application that would allow users to stream Kwaito classics for a R5 per month subscription? At the surface, this may seem like a feasible B2C play since many believe that creating an app is simple. Major barriers to success would be lack of access to software development talent and the right funding networks that would invest in her iterating on her idea. It might just be that Vuyo is still a little too early for a very nascent technology ecosystem. 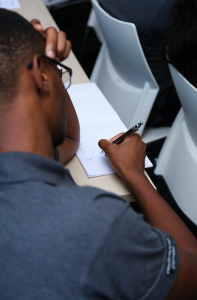 Players such as The Joburg Centre For Software Engineering (JCSE) are changing this by providing software skills development to people of various experience levels, and by building infrastructure that will incubate black technology enterprises3. In the next 5-10 years, there will be a surge in black owned technology businesses that aim do address very deep and complex problems in African communities. Let’s assume that Vuyo managed to build her software, license streaming rights from a few independent Kwaito artists, acquire 200 000 users and hire a team of top developers. She also still has 9 months of runway after getting funding from investors who heard her pitch at The Hook Up Dinner, Simodisa and Venture Networks4. A business like hers is also a B2B play because she would need market access to licensing deals from major record companies. A major challenge in South Africa is that institutions are often not willing to take procurement risks on inexperienced funders. Equipping founders to penetrate corporate supply chains and to scale up to in order to meet the needs of big business is another obstacle to creating black industrialists. Organisations such as Edge Growth and Awethu Project specialize in Enterprise Supplier Development to manage supply chain transformation programmes on behalf of corporates while also equipping the entrepreneurs to meaningfully participate in the supply chains of corporate5. Awethu Project recently started a R25 million fund, that aims to accelerate supply chain transformation by buying out white owned businesses and equipping black founders to run them and serve existing customer relationships. In the coming decade, this will go a long way in moving the needle on corporate supply chain transformation. Maybe Vuyo figured out a way to land some non-exclusive music streaming rights after a successful pitch with 2 local major label heads. The other 18 pitches did not go so well after facing issues of discrimination based on her gender. While organisations such as Wiphold and Mbewu Movement 5 have created meaningful spaces for women entrepreneurs to flourish, the gender gap is still an obstacle to creating a diverse ecosystem that supports top talent regardless of race, gender, ethnicity or religion. Women only represent 14% of board members in companies in Africa on average, many of these institutions also exist in the entrepreneurship ecosystem and perpetuate prejudice that hold women founders back. Vuyo’s journey is a small part of a bigger story. We told the story from the perspective of observers witnessing the rise of a technology entrepreneur, only because much emphasis has been placed the role of tech in transforming societies. Our list of different type of entrepreneurs, environments and barriers/opportunities was also not meant to be collectively exhaustive either. Regardless of global trends and in some cases even fads, there is a much more diverse group of founders like Vuyo in the education, agriculture, retail, social sector and other spaces. While we highlighted all the successes and pitfalls of Vuyo’s journey, it would be better for you to get the information from the horse’s mouth. Global Entrepreneurship Week is the world’s largest celebration of the innovators and job-creators who launch startups that bring ideas to life, drive economic growth, and expand human welfare. We estimate that 20 + events will be hosted during GEW in Johannesburg alone. 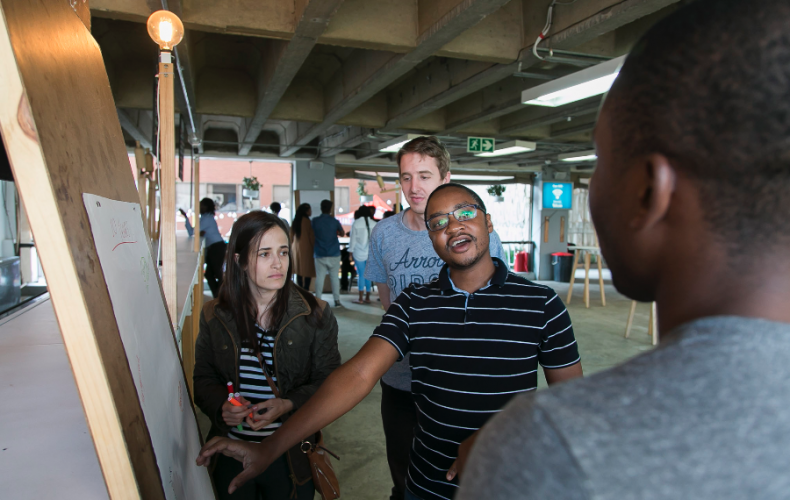 Event hosts range from institutions such as Raizcorp, networking platforms such as Simodisa, to entrepreneurs who will be discussing specific topics such as pitching and funding. We have a curated list of some of the best events for you to attend this week on Imbizo Junction. Meet the Vuyo’s in your city who are building the next job-creators and share the information with your friends. An ecosystem is made more vibrant by the amount of cross pollination and collaboration among different actors in the system. While South Africa has its entrepreneurship challenges, we at the Allan Gray Orbis Foundation are very optimistic about the potential for positive social change that business can create. To date we have provided University funding and entrepreneurship development opportunities to over 560 big dreamers of which 289 form part of our Alumni. Do you know a way that Vuyokazi could help Durban House, Skhanda and Motswako go global? Let us know what you think by Tweeting us @AllanGrayOrbis using the #GEWdreamBIG# hashtag. Defining programme success in order to measure and evaluate progress towards one’s outcomes and ultimate impact is vital for any intervention programme. However, in any intervention working with people, one must consider how the definition and recognition of such success could influence beneficiaries, both positively and negatively. Drawing on the concept of labelling theory, originating in the field of criminology and deviance, the act of labelling deviant (undesired) behaviour as criminal (bad) leads to stigmatisation, which in itself can perpetuate the continuation of such deviant behaviour. Howard Becker (1963) postulated that the process of labelling behaviour as social deviance is a consequence of the creation of social rules and subsequent failure to meet those rules. Although labelling theory has been historically researched in the field of criminology and deviance, there is merit for considering its influence in educational and developmental fields. The process of defining intervention or programme success can create rules within a beneficiary community. These rules, although not always explicitly defined or framed in the negative, can by deduction infer that non-conformity or non-achievement of the defined success implies deviance or failure. Moreover, as Tannenbaum (1938) suggests, the more emphasis is placed on the label, the more the individual is likely to identify with it. This can relate positively to labelling beneficiaries as success stories and celebrating their success – but on the inverse, can cause those not having achieved similarly to self-label as failures. Within the field of entrepreneurship, the concept of failure is well-known as central to the process of ultimate business success. The mantra of ‘fail fast, fail often’, although contended by some due to its negative framing, aims to take the fear out of experimentation for developing entrepreneurs. The Fellowship programme of four years aims to provide an ideal playground for our future entrepreneurs to practise both success and failure. Within the Association it is also understood that entrepreneurship can be an arduous journey that takes time. However, even within an environment that is set up to ‘play with failure’, beneficiaries mention a fear of experimentation and failure. Simply encouraging experimentation and understanding or perhaps even expecting failure does not disarm the risk associated with experiencing it. It shows that organisations must ensure an optimal environment, where speaking about failure is centered on learning, re-framing and re-starting. These views of Fellows show the importance for organisations to define, dialogue and profile multiple types of success, which all form milestones on the journey towards the final destination. Some alternative successes that have been seen at the Foundation include Fellows who have been the first in their families to go to university and graduate and Fellows who are supporting their families financially and paying for their siblings’ education. Highlighting and profiling such examples of success can contribute to beneficiaries not feeling inadequate or like failures just because they have not yet reached their destination. Within a community that has a defined goal it can be challenging to be repeatedly exposed to individuals who are labelled as successful without comparing one’s own achievements. Beneficiaries mention that comparing themselves to the image of success brings up feelings of inadequacy. For some this in turn results in disengagement or self-exclusion from the community and becomes a great challenge in a community whose aim is to encourage and develop its members through engagement and interaction. A key lesson for beneficiary communities is the importance of creating an inclusive society in which all beneficiaries feel welcomed and recognised for their own personal strengths and successes. This can be achieved through redefining and celebrating diverse forms of success, broadening the typecast of success, increasing the ability of beneficiaries to identify with success stories and encourage and enhance engagement as well as further sharing of success stories within the community. Overall, the way in which organisations speak about and write about success has the ability to alienate or embrace its beneficiaries. It directly effects how beneficiaries engage with the organisation as well as with each other. It can also influence their own sense of accomplishment and self-worth and their ability to make progress towards the organisation’s ultimate impact. Allan Gray Orbis Foundation, 2015 Association Year End Report. The key factor of the need for good startup skills is found to be very low in both the GEI and FEI research and the result is that the opportunity for South Africa to be an effective entrepreneurial nation is severely stunted. There is lack of highly educated business owners (particularly in the female-focused research). Skill Perception measures the percentage of the population who believe they have adequate startup skills. Research shows that most people in developing countries think they have the skills needed to start a business and this is borne out in the findings for South Africa, but their skills usually were acquired through workplace trial and error in relatively simple business activities. The quality of human resources is crucial in the pursuit of becoming a winning nation and so a critical feature of a startup with high growth potential is the entrepreneur’s level of education. In this research the “Highly Educated Owners” variable captures the quality of entrepreneurs’ academic preparation. Sadly, for South Africa and female entrepreneurs particularly it shows up as one of the weakest factors. As South Africa grapples with its tertiary education battles around free education, access and the requisite standards required to be accepted, both research findings show that if we don’t get this right, the vital role that postsecondary education should play in teaching and developing entrepreneurial skills will create an even wider gap for female entrepreneurs and, in fact, all young South Africans. According to the research, the fact that today there are 150 million students enrolled in some kind of education beyond high school, a 53 percent increase in less than a decade means that people all over the world see education as a pathway out of poverty. Unless South Africa deals with its issues around primary, secondary and tertiary education, we will be more and more behind the curve. South Africa is also very low in the research findings on the “Human Capital” factor. It is obvious but borne out by research that the prevalence of high-quality human capital is vitally important for ventures that are highly innovative and require an educated, experienced and healthy workforce to continue to grow. This links closely with the education issues mentioned earlier where it is also obvious that a venture with high growth potential requires an entrepreneur with a high level of education. The institutional variable “Staff Training” is a country’s level of investment in business training and employee development. As we know in SA we have had the good intent though the SETA system to provide access to training, but anyone who has tried to work with the SETA system will also know that it has not reached its intended impact by any means. There should be much greater investment in employees because the pay off is the increase in employee quality and this has a knock-on effect for the potential for entrepreneurial activity. The FEI research further identified that generally women were able to recognise opportunities, had a perception of the need for skills (even if they did not have them) and knew of entrepreneurs. Contrasted with this is the fact that women in South Africa have poor internet access generally (a serious institutional factor that must be fixed) and limited networks. Sadly, women in South Africa do not have access to sufficient internet capacity and neither do they network sufficiently to be effective entrepreneurs. It is a known fact that entrepreneurs who have better networks are more successful and can identify more viable opportunities. They are also better able to access appropriate resources. Although the research shows that on the individual level women do “know an entrepreneur”, the institutional-level indicator, which looks at the level of internet usage in women and their degree of LinkedIn connectedness, shows that in South Africa women entrepreneurs lag in their ability to unlock opportunities through networking and especially internet networking. In other words, South African women have the desire, but once again the institutional factors outside of their control do not empower them to act on this desire. 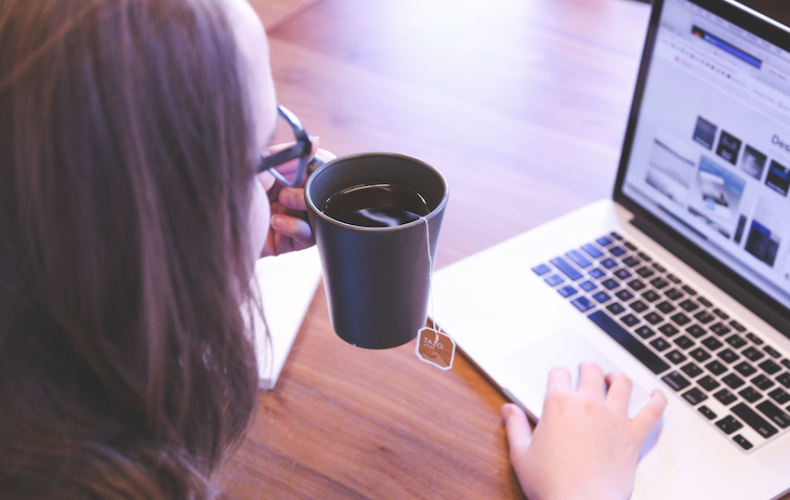 The internet opens up new opportunities for entrepreneurial networking and has the potential to eliminate cultural, geographic and gendered social constraints that have in many cases limited women’s access to information and resources. 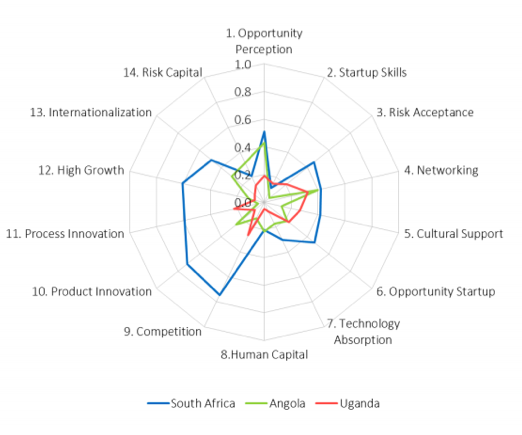 The graph from the GEI 2016 Report shows South Africa in relation to other African countries (Angola and Uganda) in terms of the 14 elements that make up the Index. The enabling factors for any entrepreneur to flourish have been widely discussed and they range from friendly policy environments, access to finance, support structures, human capital and markets among others. However, in the context of the female entrepreneur the factor that has the most impact perhaps is that of culture or, more specifically, the degree of patriarchy in the context within which she operates. This has a direct impact on the critical factor of mindset. At a recent IEF conference that I attended in Cape Town, an inspirational entrepreneurial role model, Hedda Pahlson-Moller, who is an Angel Investor, a Venture Philanthropist, an Entrepreneur and a Social Impact Catalyst said in her address that she had had a wonderful advantage having been brought up in Sweden and the USA. Particularly in Sweden she said that growing up she experienced no sexism and no prejudicial lens through which her aspirations were viewed. As such she never even considered that she might require permission from men or not be as good as a man. Without that requirement to wait for permission which builds an inherent, subconscious inferiority complex, she went ahead courageously and without fear of derision and conquered many a male-dominated environment. The lesson to be learned from this is that so many of our environments, including sadly South Africa, are significantly male-dominated. The inability to lean in, break the glass ceiling and be equal is not only imprinted on women’s DNA but also bred into the psyche of men. This has the knock-on effect of creating an inferior, permission-seeking mindset in women. An insight from Hedda was to move from trying to be gender blind or gender neutral in her work to being gender positive. Given the fact that we lack that mindset, it is no wonder that we still make the distinction between entrepreneurs and female entrepreneurs. 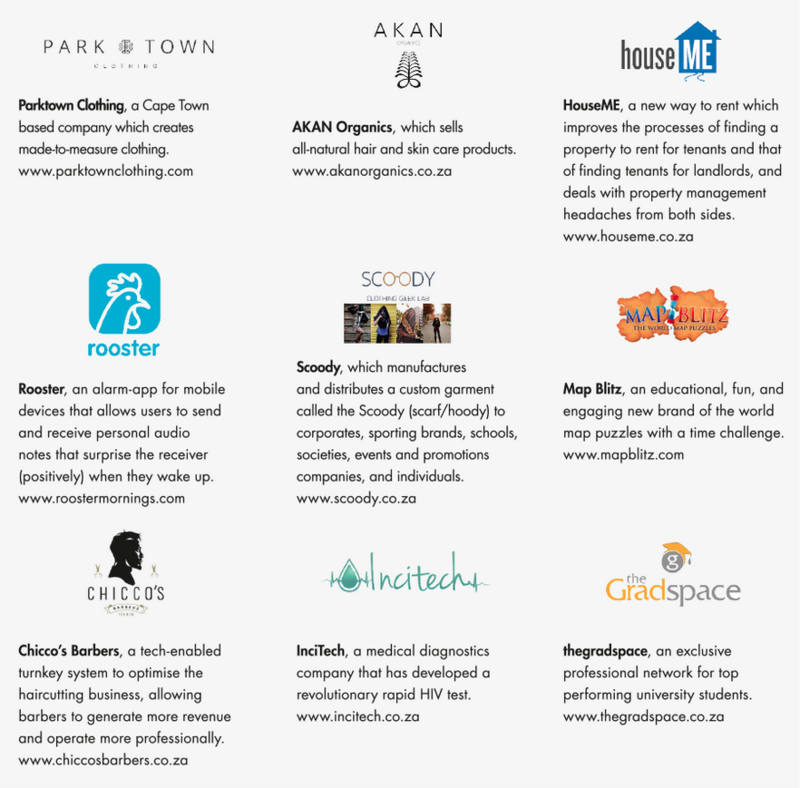 So – to end with the continuation of the pillar theme, the Alan Gray Orbis Foundation itself has a pillar that is critical to the success of the female entrepreneur – and one that should be fostered, cultivated and pursued with vigour and passion by all who seek to improve the South African female entrepreneurial environment. For the Foundation this courageous commitment is defined as having the courage and dedication to continue, realising that applying consistent commitment has a way of overcoming. So let us in South Africa have the courage to challenge the institutions that control our education and access to information, the personal dedication to develop our own skills and the constant commitment to creating gender positive opportunities thus unlocking all of SA’s human potential so that all of us can participate in this race and thereby improve our collective performance. I think by now we all agree that Entrepreneurship can be taught; at least at the Foundation we believe that it can be. Even though I use the word “teach”, at the Foundation our practice is that of facilitation rather than that of “teaching”. The approaches discussed in this blog, however, are as relevant for teaching as they are for facilitating. 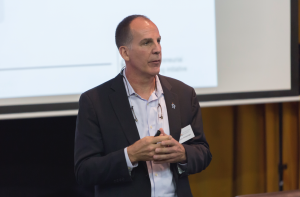 Entrepreneurship is a discipline and like any other discipline it can be taught, however, according to Bill Aulet, head of the Martin Trust Center for MIT Entrepreneurship and author of Disciplined Entrepreneurship, teaching entrepreneurship well is difficult. “Teaching entrepreneurship is difficult because the subject itself is idiosyncratic, contextual and experiential. Unlike chemistry, math or computer programming, there are no definite answers in the startup world. By definition, entrepreneurs are doing the unknown and the untried, so there are no algorithms for success. Making matters worse, there is a limited amount of scholarship and data that exists on what makes startups succeed or fail’ (Bill Aulet 2013). At the Foundation we know this challenge too well. In the last ten years we have explored several approaches to teaching entrepreneurship. 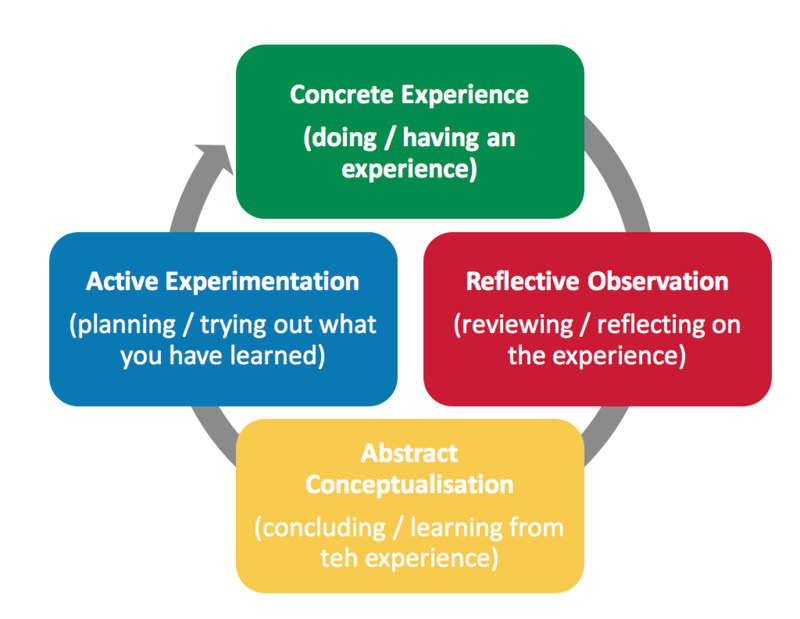 In the early days of the Foundation we used experiential learning based on Kolb’s Learning Cycle. David Kolb published his learning styles model in 1984 from which he developed his learning style inventory. 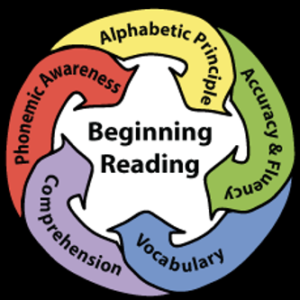 Kolb’s experiential learning theory works on two levels: a four-stage cycle of learning and four separate learning styles. Much of Kolb’s theory is concerned with the learner’s internal cognitive processes. We found Kolb’s learning cycle quite useful in moving entrepreneurship training from theory to action. Our curriculum was designed is such a way that each Candidate Fellow experienced the entrepreneurship process, i.e generate an idea, validate the idea market and plan operational elements and launch the enterprise. Candidate Fellows in their second year of University ran a 10-day retail business, at third year a service business and at fourth year a consulting business. These businesses were the core feature of the experiential nature of our Programme, which was excellent in allowing Candidate Fellows to have concrete experience, reflect on that experience, learn from the experience and experiment. During this time our curriculum focused more on entrepreneurial skills than entrepreneurial mindset and had a bias towards entrepreneurship training as a process rather than entrepreneurship education as a method. Our current approach to teaching entrepreneurship is a practice-based approached. We learnt of this approach from a book titled Teaching Entrepreneurship: A Practice-Based Approach, by Heidi M. Neck, Patricia G. Greene and Candida G. Brush), which resonates with our thinking and complements our previous pedagogy, the Kolb learning cycle. Each of these practices can only be learnt through experiential approaches. The most important thing about a practice-based approach is that it is a method-based approach rather than a process-based approach. The word “process” assumes that the inputs and outputs are known. Entrepreneurial environments are however, unpredictable, uncertain and ambiguous and as such require a specific mindset to navigate the discipline. As noted in the book, approaching entrepreneurship as a method means teaching a way of thinking and acting. The Practice of Play relates to the development of a free and imaginative mind, allowing one to see a wealth of possibilities, a world of opportunities and a pathway to more innovative ways of being entrepreneurial. The Practice of Empathy borrows heavily from psychology, neuroscience, and design thinking. Entrepreneurs are problem identifiers and problem solvers. Understanding the needs and feelings of others helps students identify which problems are real opportunities, and which are just personal. 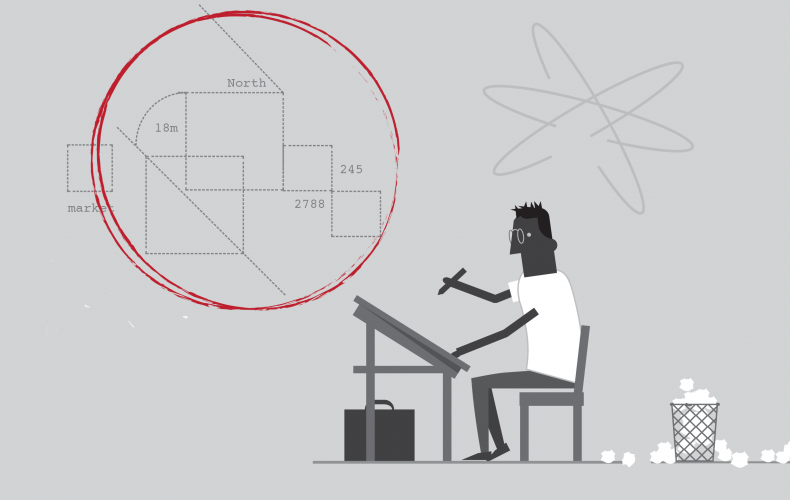 The Practice of Creation discusses the role of creativity in entrepreneurship as well as delving into the world of creation in contrast to prediction. Entrepreneurs work with what they have, not what they wish they had. The practice of creation develops our students’ ability to work with the reality of what is available and to trust that this is where innovation is born. The Practice of Experimentation draws from medical sociology and other theory. Experimentation is about trying something, seeing what the results are, learning from the results and then trying again. Experimentation is a process of putting forward an idea, testing it, measuring results, making adjustments and then testing again. Learning to do this quickly is the hallmark of a successful entrepreneur. The Practice of Reflection: Reflection holds all the practices together and integrates them into one complete experience. 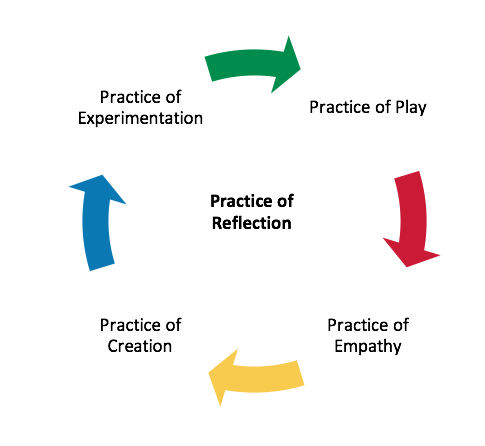 A good reflection practice helps students internalise and apply what they have learnt. We encourage Candidate Fellows to codify their learning experiences, especially in high action environments. We continue to explore how to effectively use all of the practices to best “teach” entrepreneurship, as I write this we are well on our way to launching our Entrepreneurial game (Blue Helix) as part of our strategy to teach entrepreneurship through the Practice of Play at high schools across the country. We believe as stated by Heidi et al that the method of entrepreneurship requires the development of a set of practices. Through these practices we can help students to think more entrepreneurially, which in turn can develop students who act more entrepreneurially.